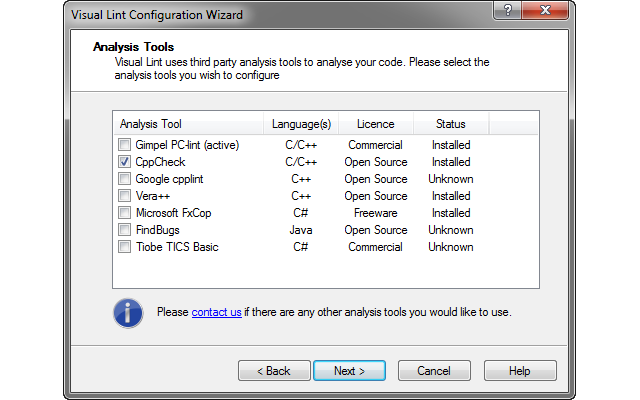 Visual Lint makes analysing C, C++, C# and Java code using industry standard code analysis tools such as PC-lint, PC-lint Plus, CppCheck and Findbugs easy. Also: if you've ever been bitten by clashing resource IDs in Win32, ATL, WTL or MFC projects, ResOrg was designed for you. It can identify conflicts and renumber IDs quickly. 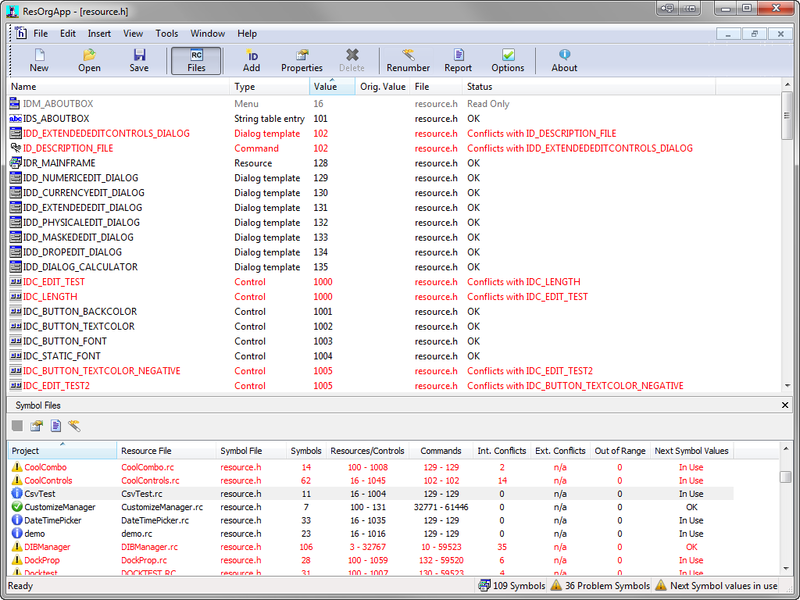 It can analyse your code to identify common code mistakes, bugs, security issues and more. All in the background, while you work. 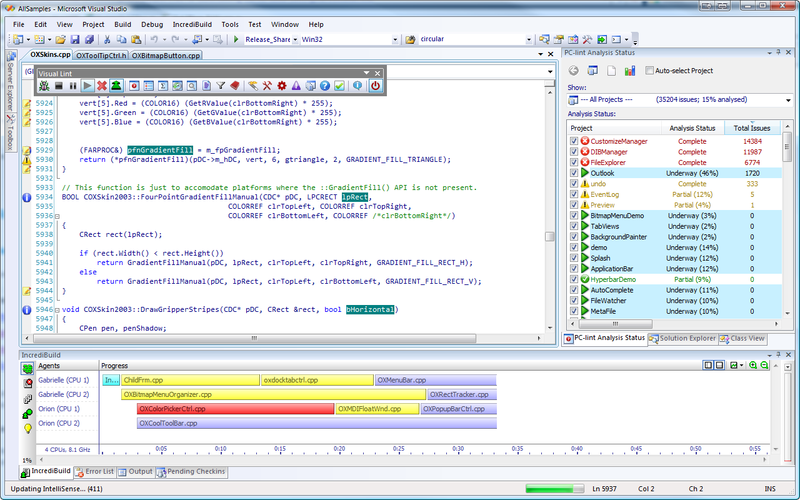 Visual Lint presents analysis results in colour coded easy to use displays, with tooltips to tell you what each reported issue means. 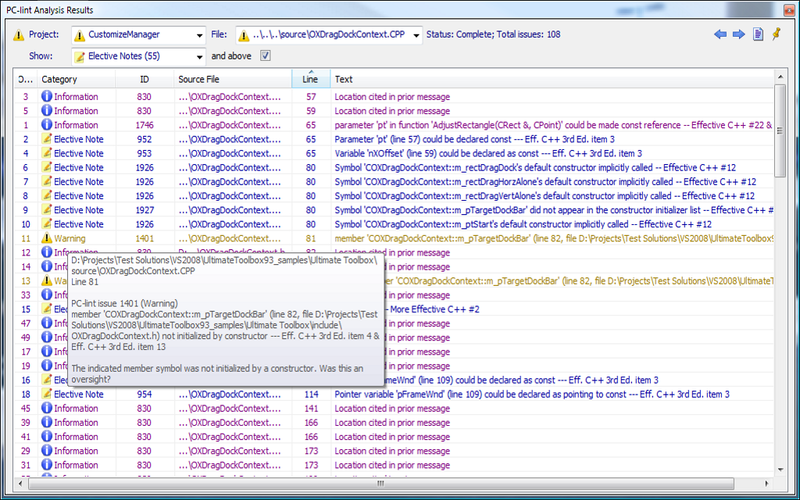 You can run Visual Lint on developer workstations as well as on your build or continuous integration server. If you have any queries about Visual Lint and what it might be able to do for you please contact us and we will be happy to help.